Completed in partnernship with the Boy Scouts of America's Illowa Council branch. 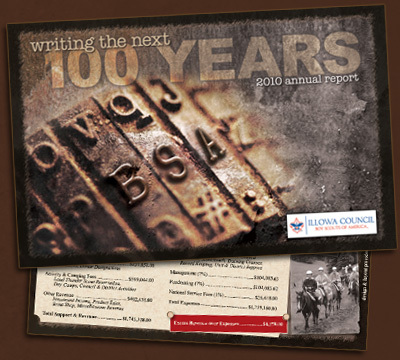 In honor of the "100 Years of Scouting" campaign, the design of the annual report embodies a rough, antique look. 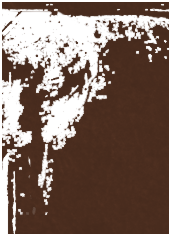 The scrapbook-like layout also balances historical and modern imagery to emphasize the organization's transition into its second century. Also concentrated on creating a visually-complex layout to provide an engaging experience for readers. Distributed within 13 counties in Illinois and Iowa.